Charlestown, Nevis, May 11, 2018 – A person is assisting police in their investigations following the death of a Guyanese woman whose body was discovered Thursday afternoon. 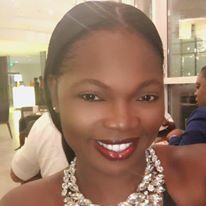 According to police, the Charlestown Police Station received a report from the Medical Services after they responded to an emergency call and found 34-year-old Petronella Hinds of Cane Garden dead. “Her motionless body was in the house of Muriel Archibald in Farms Estate,” said the police statement issued Friday. Police said the scene was processed and a number of items of evidential value were collected and taken into police custody. “House to house inquiries were conducted and several persons were interviewed. An autopsy will be carried out shortly,” said the statement. “Someone is in Police custody assisting with investigations which are ongoing,” said police. Persons with information about this incident are urged to call the Charlestown Police Station at 469-5391 or their nearest Police Station.